Ian Anüll, O.T., silkscreen print on canvas, black/white, 130 × 82 cm, edition of 8 plus 1 A.P. and 1 H.C., numbered and signed. Edition of the Centre genevois de gravure contemporaine, Geneva, 1993. 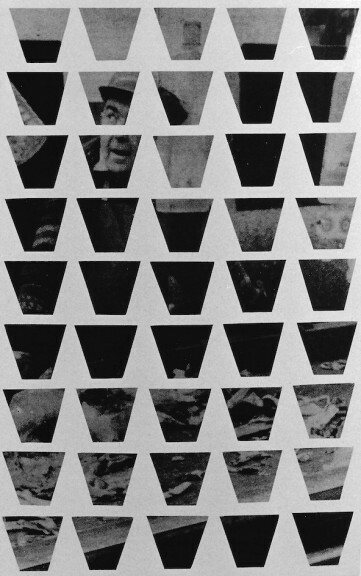 Ian Anüll, O.T., silkscreen print on canvas, black/white, 130 × 89 cm, edition of 8 plus 1 A.P. and 1 H.C., numbered and signed. Edition of the Centre genevois de gravure contemporaine, Geneva, 1993. Ian Anüll, O.T., radiance of a real and of an artificial pearl, two silkscreen prints on marble, black/white, 13 × 13 cm, edition of 6 plus 1 A.P. and 1 H.C., numbered and signed. Edition of the Centre genevois de gravure contemporaine, Geneva, 1993. 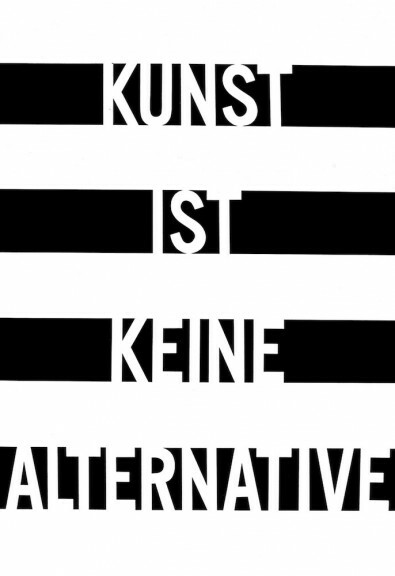 Ian Anüll, O.T., silkscreen print on aluminium, black/white, 30 × 49 cm, edition of 6 plus 1 A.P. and 1 H.C., numbered and signed. Edition of the Centre genevois de gravure contemporaine, Geneva, 1993. Ian Anüll, O.T., silkscreen print on plywood panel, black/white, 130 × 82 cm, edition of 8 plus 1 A.P. and 1 H.C., numbered and signed. 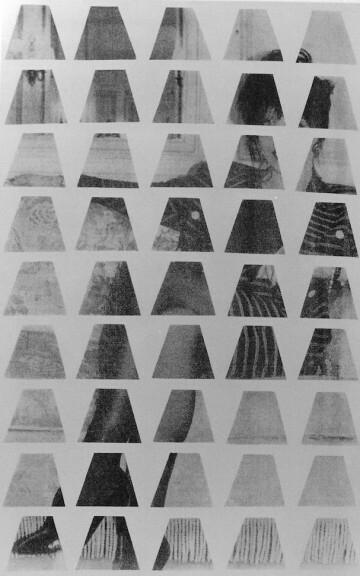 Edition of the Centre genevois de gravure contemporaine, Geneva, 1993. 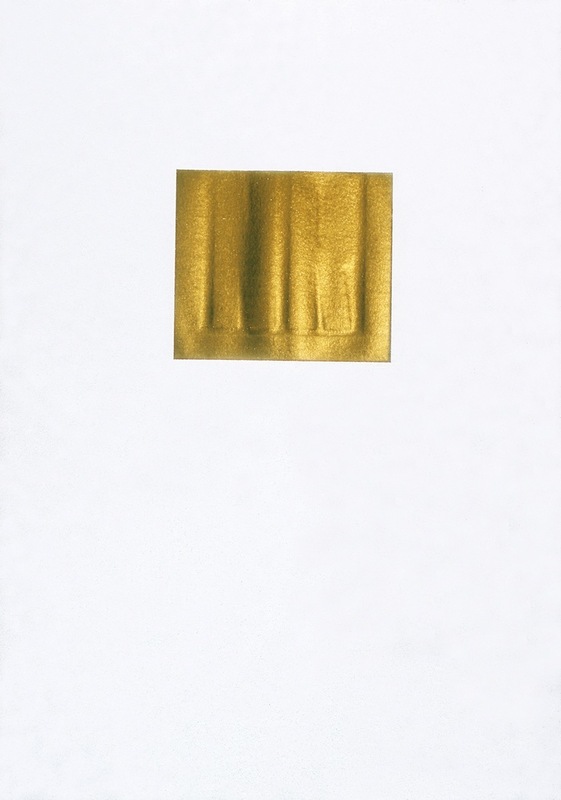 Ian Anüll, Sans titre, embossing on gold leaf, on Arches paper, 30.4 × 21.6 cm, edition of 140, numbered and signed. 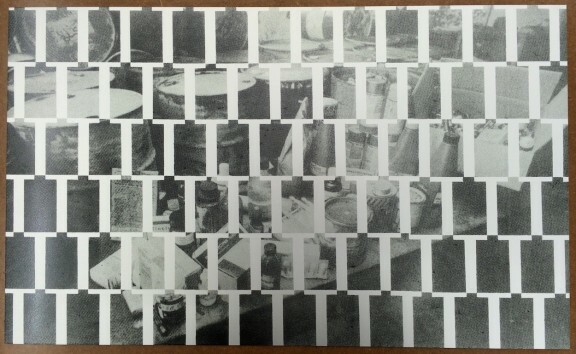 Edition of the Centre genevois de gravure contemporaine, Geneva, 1989. Edition offered to the members of 1989 of the Centre genevois de gravure contemporaine association. 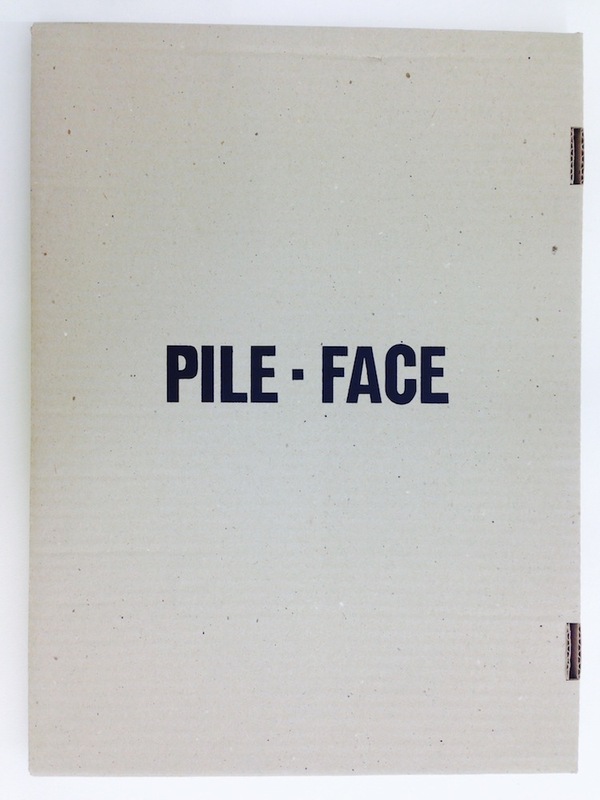 Ian Anüll, Pile-Face, edition of the Centre genevois de gravure contemporaine, Geneva, 1986. Presentation of the series of silkscreen prints edited by the Centre as well as drawings and editions.